Microsoft Office is a very powerful product, although most users are not taking advantage of its full potential. 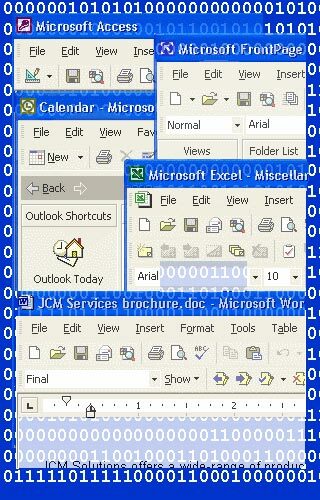 JCM Solution can help you make Microsoft Office one of the most powerful tools in your office by customizing it to fit your business needs. From securing you proprietary data in Excel for you sales staff, to automating everyday business task, we can make Microsoft Office do things you can't ordinarily do. Contact us an let us show you the power of JCM customized Office solutions. Automate timely monthly manual tasks. Automatic reports in excel from almost any data source. National or remote location collaboration.